My next set of blankets won't be as extensive as the dinosaur series. I really hope you enjoyed the dinosaur designs. 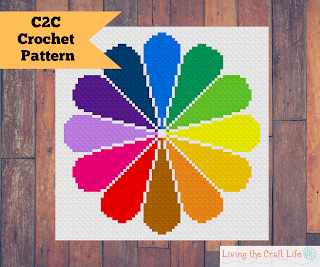 Now I am moving on to a few RAINBOW designs! 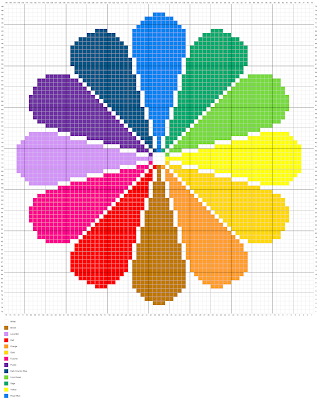 This first design is a standard flower design in a rainbow of colors: The Rainbow Flower C2C Blanket. 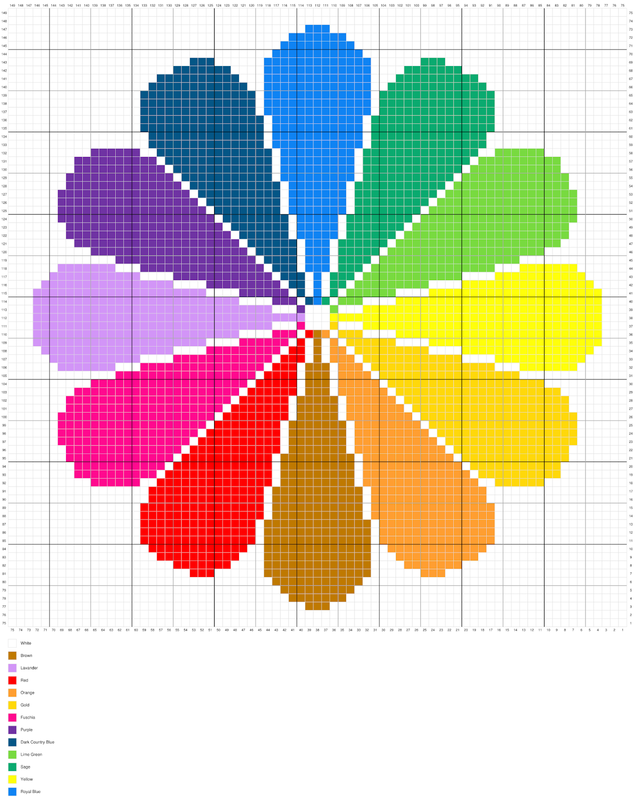 Each petal is a different color of the rainbow! How beautiful is that?! Gauge not essential, C2C Crochet a triangle 8 blocks high. If your triangle measures 5.5” tall, your project will end up being 50”x 50”.